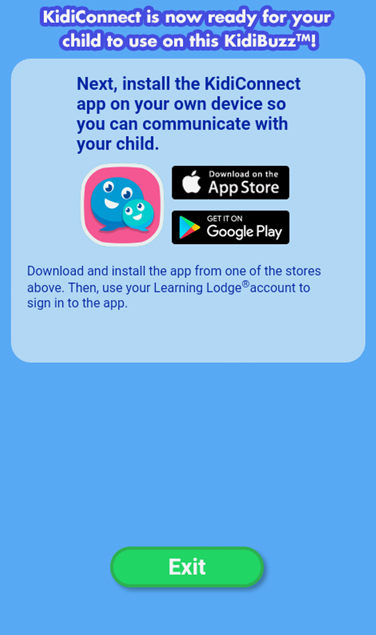 How do I unlock KidiConnect™ on my child's KidiBuzz™? With KidiConnect™, kids can use their KidiBuzz™ to send messages to a parent-approved list of contacts. But you have to unlock KidiConnect™ on your child's device first. You will automatically be prompted to unlock KidiConnect™ on your child's device when you register it. If you skipped this part during registration, then follow the instructions below to unlock KidiConnect™ later on. Select "My Child's Profile" from the Parent Settings menu. 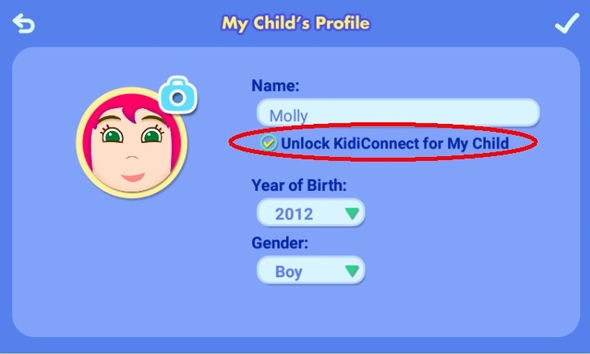 Check the circle that says "Unlock KidiConnect for My Child" then touch the checkmark in the top right corner. 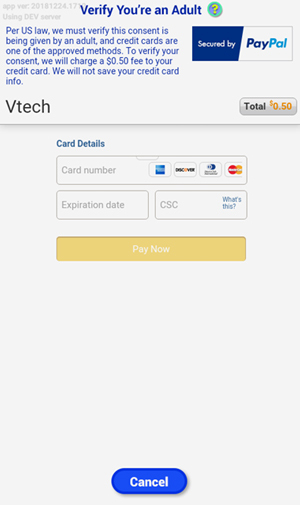 Scroll to the bottom of the next page and tap the checkbox to confirm that you agree to the Terms and Conditions. Then touch "Continue." 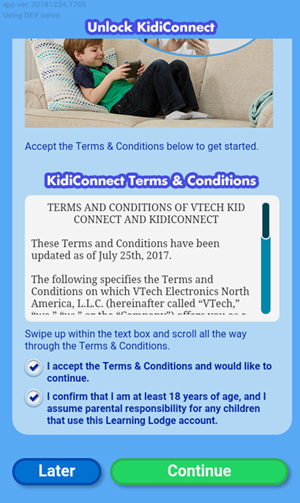 Because of a federal law known as the Children's Online Privacy Protection Act (COPPA), we must obtain verifiable parental consent before we can allow your child to use the KidiConnect™ service. 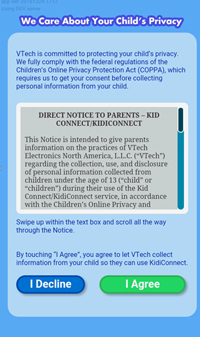 First, read the details about VTech's policies with regards to your child's personal information. Then, touch "I Agree" to give your consent. Next, we must verify that the consent you're providing is being given by an adult (also a requirement of COPPA) by processing a $0.50 charge to your credit card. 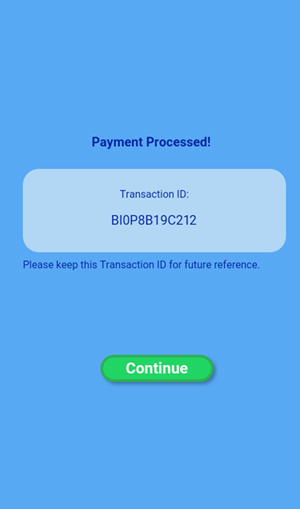 A screen will appear to confirm that your credit card payment has been processed. KidiConnect™ is now unlocked on your child's device. 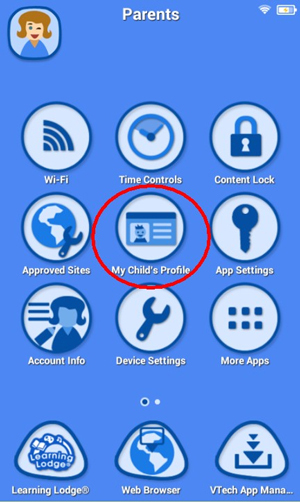 You still need to install the KidiConnect™ app on a mobile device so you can finish setting up profiles for yourself and your child, manage your child's contacts, and communicate with your child. 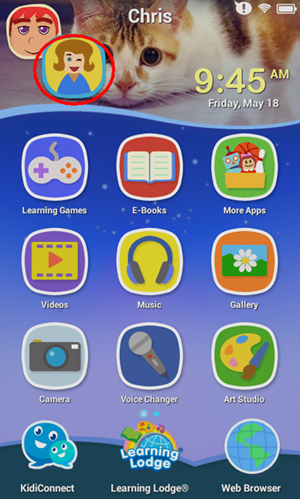 For help setting up the KidiConnect™ app on your smartphone or tablet, see the tutorial How do I set up KidiConnect™ on a smartphone or tablet?